India may be intimidating at first, but it is a cultural goldmine if you are willing to dig deeper than the superficial noise. Many think it’s crazy to travel with children to Mumbai, citing language differences, exotic food, congested traffic, and hygiene concerns. As a diehard Mumbaikar, who spent 18 years of her life in this city, I can tell you these are all minor hurdles to overcome to experience one of the most exciting places in the world, and show your children a cultural experience they will never forget. Here are my tips for exploring Mumbai, India with kids. Take the kids to a Chowpatty or Juhu beach, not for a dip in the water, but for a spin on a Ferris wheel or ride upon a camel’s back and some cotton candy. Mumbai’s beaches do not serve the bikini-bathing crowd but are a popular location for families to enjoy an outing and snack or watch the sunset. 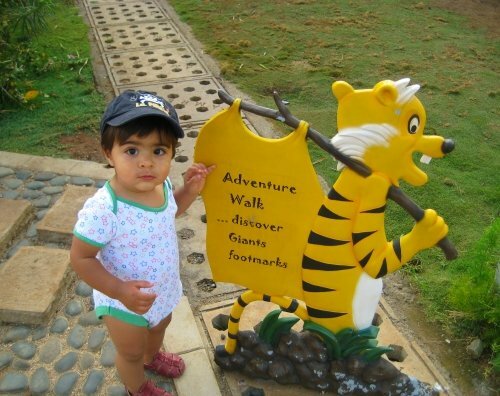 You can also take children to the waterfront Amarsons Park or to the Hanging Gardens in prestigious Malabar Hills, where the Old Lady’s Shoe (a giant statue of a boot can kids can climb into and up) has delighted children for decades. Eating in Mumbai is not as hard as you might imagine because of the global influences in on its cuisine. You can get anything you crave, from a perfectly cooked filet mignon (you’ll pay for it of course) to a Big Mac (or Maharaja Mac, made with lamb instead of beef). I encourage you to try the local food, ideally not off the streets, but in full-service restaurants. If you must eat street food (it’s tempting because it smells so good! ), make sure to only eat what’s been heated and boiled thoroughly – no cold veggies or chutneys. And you can ask them to keep the spices down (say “mir-chee kum”). Drink only sealed bottled water and if you have an infant, it’s best that you boil that water in the hotel kettle as well. I used to boil a big container every night and refill from it throughout the next day. Try places like Moshés in Cuffe Parade, with its outdoor garden for the kids to play in, Soam near Babulnath for local vegetarian fare, and Mainland China for “Indian Chinese” which I promise, is a unique cuisine in itself! For a more upscale experience, try the Sunday brunch at Blue Frog, with unlimited Grey Goose martinis (c’mon you deserve it) and Frog Kids next door, a program that will keep the tots engaged while you shake a leg to the live band. A great place to visit for all of your shopping and dining needs is Phoenix Mills, Mumbai’s largest entertainment center with several food courts and restaurants. For authentic Mughlai (North Indian) cuisine, head to Punjab Grill. Ask them to tone down the spices and the kids will do well with a chicken curry and rice or just plain naan to hold them off till you can get to TGIF next door. 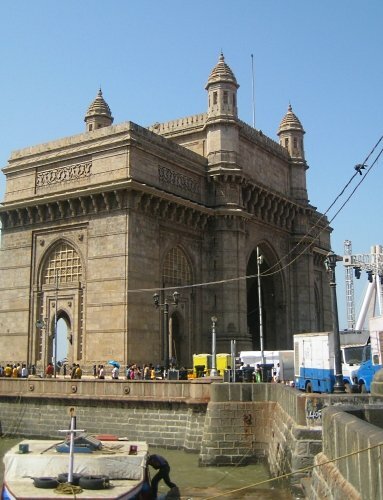 Since India was a British Colony, Mumbai has some of the most spectacular examples of British Raj architecture. Older kids often enjoy a trip to the Prince of Wales Museum, the Victoria Terminus train station (renamed Chhatrapati Shivaji Terminus), or the Gateway of India, where the last British ships departed from the country. From the gateway you can take a ferry to the Elephanta Caves, to view a large collection of Hindu and Buddhist sculptures from the fifth to eighth centuries. A must-visit at Phoenix Mills is the Landmark bookstore with its humungous collection of books, movies, and games. You will find that books in India are cheaper than those in the West, so stock up on bestsellers and children’s stories. Spend a morning walking down Colaba Causeway, where you can sharpen your bargaining skills and buy everything from pretty bangles and hair clips, to bags and slippers. Nip into one of the stores to purchase an authentic Indian kurta (a loose shirt that falls at the knees of the wearer), which will cost you the equivalent of $10 (as opposed to $50 or more at popular Western stores like Banana Republic and Neiman Marcus). A kurta is great makes a lightweight summer top or a cover up for the beach. You can also find adorable Indian clothes for kids and international brands such as Reebok and Benetton. Look out for Tantra Tees for cheeky, indo-centric souvenirs. Many international baby product brands are available in Mumbai at stores like Just Moms on Bhulabhai Desai Road or Mothercare in Bandra or at Phoenix. Pampers and Huggies are available at every corner convenience store, as are Johnson & Johnson creams, bath washes, and wipes. Indian hospitality at the higher end is impeccable. Particularly when you are traveling with children, you want to make sure that you have access to reliable, English-speaking resources in the event of an emergency. Plus, these hotels have pools and other amenities that can keep the children entertained when you need a day off from sightseeing or just to cool off from the heat. Because you are getting international standards, you will pay international prices. Contrary to popular believe, India is not much cheaper than the West when it comes to lifestyle and dining. It’s best to hire a car and driver for a day (which will cost between $25 and $40 plus 10 percent tip). 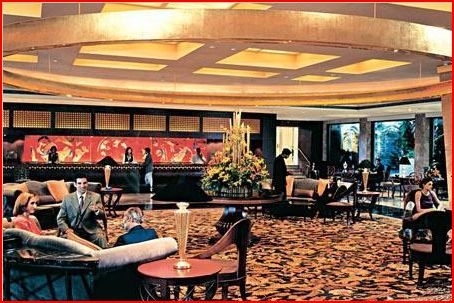 Your hotel can help you book one with a reliable company. Car seats are not the norm so bring your own. Be warned that you may need to ask the driver to slow down more than once to calm your nerves. Avoid public transportation at rush hour at all costs! There is nothing subtle about Mumbai. One of first things this city thrusts in your face is its rampant poverty. As you fly into Mumbai Chhatrapati Shivaji International Airport, you pass over the largest slum development you likely will have ever seen, and it will stick in your mind as you come across a beggar or homeless person everywhere you turn. You want to help? Contribute to a charity that fights world poverty or give your doggy bag to the child standing outside the restaurant. Cash given, particularly to destitute children, does not usually stay in their hands very long. Teach your children about empathy without guilt. They will learn to appreciate what they have and perhaps be inspired to help others less fortunate throughout their lives. CARE is a global organization that does a lot of work with children in India as do many other agencies. Enjoy your journey and namaskaar! Would you travel to Mumbai, India with kids? Please share your thoughts in the comments below! Kaamna Bhojwani-Dhawan is the founder of Momaboard.com an online community dedicated to parents traveling with young children. Like us at facebook.com/momaboard and follow us on Twitter @momaboard for everything you need to know about international family vacations. What a great post – At first I was thinking why would you do it to yourself and take the kids to place like Mumbai. However you have painted a wonderful experience which awaits for any family that is willing to explore Mumbai. Just a side question: – When is the best time of the year to visit Mumbai, with kids? the best time to visit bombay is between november and february during the “winter” season. It’s hardly winter though with temperatures in the 20s. It is also peak season though so expect to pay more for flights and accommodations. Thanks for the informative article. we are traveling through Mumbai on the way to Singapore, and were wondering how to spend the day. So glad you found this post helpful. Enjoy Mumbai! I lived in Mumbai for almost a decade and my son was also born there. (We are not of Indian origin, but it’s our home still even after being gone for 2.5 yrs. We just went back again this year so my son could revisit his birth city. While it’s not the best place in India for kids, there certainly is plenty to do for kids even apart from the tourist sites. Great to see others doing it as well! Mumbai Mom’s Chance To Get Featured In A Documentary Film!!! I am a writer for MRBB (Makeup Review & Beauty Blog), Beauty and fashion blog dedicated for Indian Women. My husband (Suprim Bele) is making a documentary film about women who become a mother. He is in a search of few mothers who can express their feeling of motherhood on the camera and I would love to interview you for that documentary. Indian has some really great entrepreneurs, bloggers, smart women out there that usually go unnoticed in this patriarchal society system. Our objective is to feature these mothers at par status and express their feelings. Great post kaamna, I will visit some destination which you have mentioned in my next trip to Mumbai. Interesting post! I love Mumbai but always worried to travel with my toddlers because of the ease of catching a stomach infection. But will consider it now for sure.